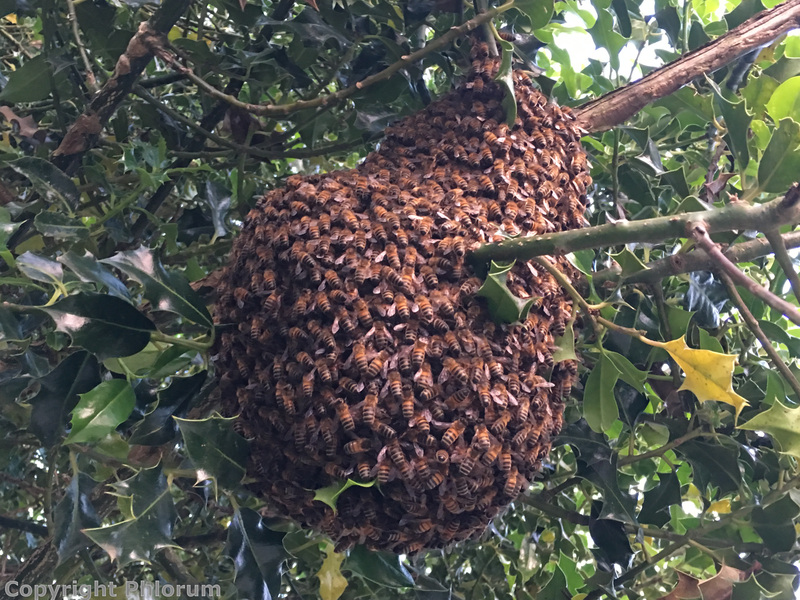 During a recent bat survey in the Sussex Weald, our ecologists happened across a relatively uncommon and fascinating event: a swarm of bees resting in a holly tree. Swarming is usually a spring event. When the beehive is too small for the colony, they raise a new queen and half of the worker bees leave the old beehive with the new queen, looking for a new nest. This is also how the colony reproduce, from a single colony to two or more, depending on the initial size of the ‘mother colony’. The swarming bees create a safe environment for the new queen in this way. They can stay bunched like this for a few hours and up to one week. During this time they don’t eat. 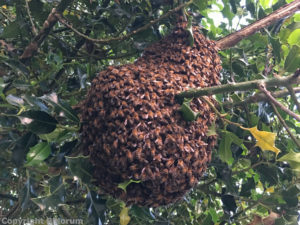 Scout bees explore the surrounding area looking for suitable nesting spots, where the colony will then establish a new home for the new queen and her worker family.